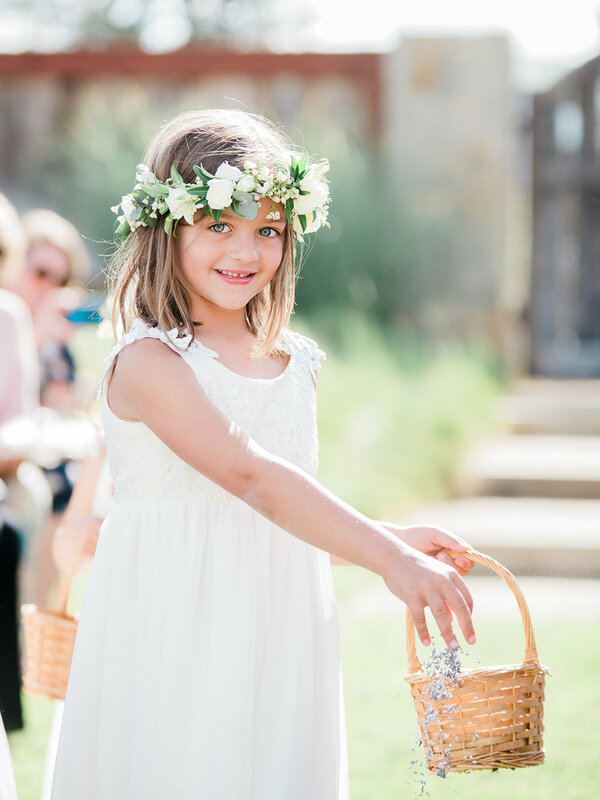 Kristina and Peter held a beautiful Spring wedding at Tyge William Cellars in Sonoma. 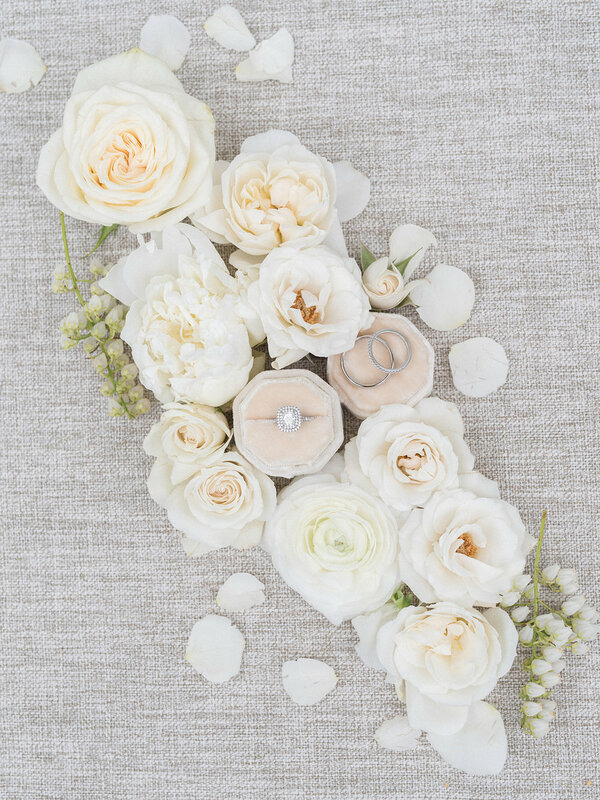 Kristina chose classic whites and greenery with lots of texture for added interest. 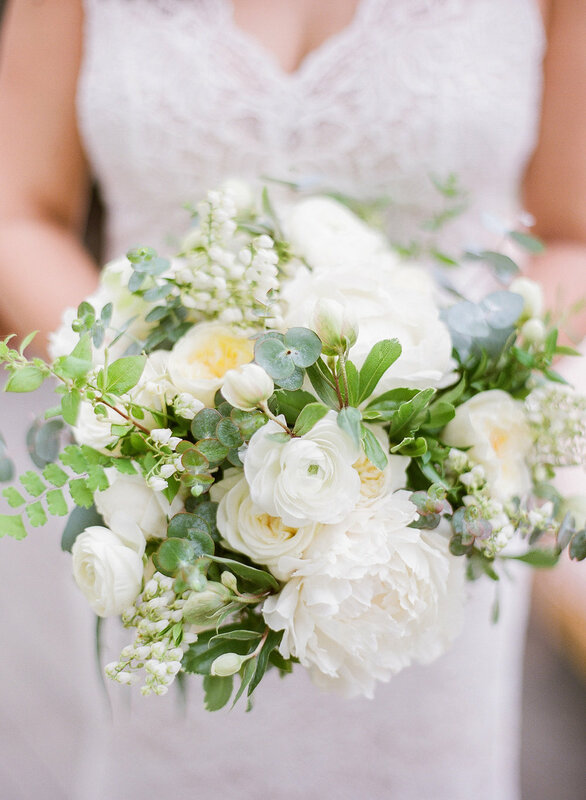 Spring blooms such as pieris, ranunculus, peonies, hellebore, garden roses, and more were used, along with maidenhair fern, eucalyptus, spirea, and other rich greenery. Long guest tables held loose eucalyptus garland with gold accents. 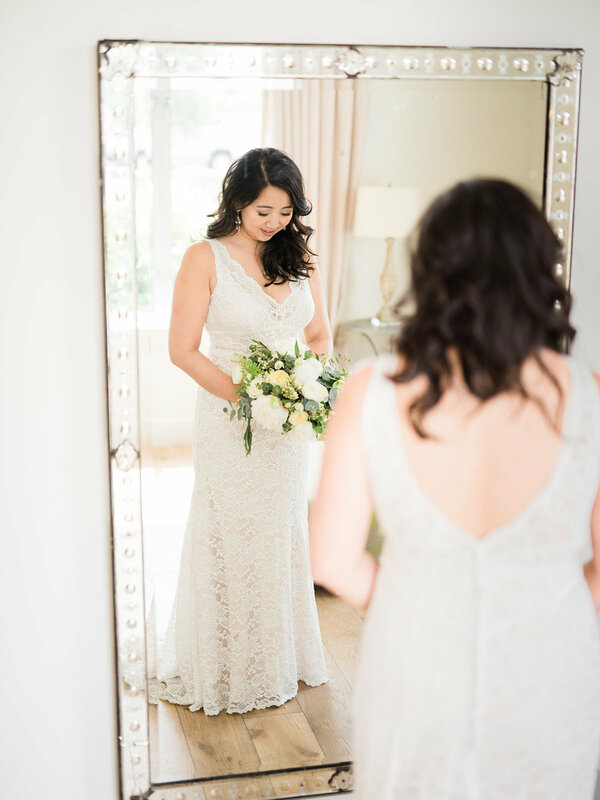 Janine Licare Photography captured every detail so beautifully, and Kristen of Sugar Rush Events planned the day to perfection.